Among the last Chassidic Rebbes born in pre-war Europe, the passing of the Skulener Rebbe at the age of 95 on Monday afternoon draws ever closer the conclusion of a torturous era in the narrative of Jewish history—the dispersion of Chassidic courts from the Eastern European villages, towns and cities where they had shaped Jewish life for centuries. Known for his kindheartedness and prolific composition of Chassidic melodies, Rabbi Yisroel Avrohom Portugal, of blessed memory, was a beloved fixture of Brooklyn’s Boro Park neighborhood. Rabbi Yisroel Avrohom was born in 1924 in the village of Sculeni (Skulen in Yiddish) on the border of present-day Moldova and Romania, and moved to the Ukrainian city of Chernowitz shortly before World War Two. Rabbi Eliezer Zusia Portugal, the first Skulener Rebbe. His father, Rabbi Eliezer Zusia Portugal, the first Skulener Rebbe, was a prominent follower of the Shtefanesht Chassidic group, itself a branch of the famed Ruzhiner dynasty, and only became a Rebbe in his own right later in life. 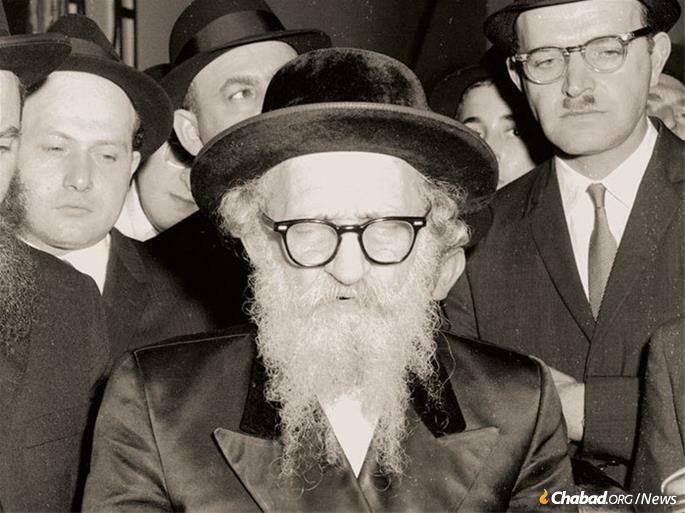 Prior to World War II, Rabbi Yisroel Avrohom assisted his father in caring for Jewish orphans. Shortly after the war, they were able to relocate to the city of Bucharest, Romania, managing to take a number of orphans with them. In Bucharest they expanded their activities, opening an orphanage and encouraging the children to practice Judaism scrupulously. Romania was by then a Soviet-satellite Communist republic, and their work raised the ire of the Communist authorities. Starting in 1949, Rabbi Eliezer Zusia was arrested on several occasions, although each time his release was secured with minimal effort. However, in 1959, the regime arrested both the father and Rabbi Yisroel Avrohom, himself a 35-year-old leader, charging them with treason. An immense international effort ensued to secure the release of the Rebbe and his son. 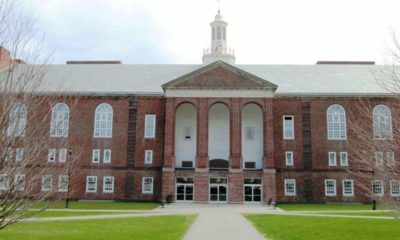 Instrumental in these efforts were Mr. Harry Goodman, vice president of Agudath Israel; Rabbi Eliezer Silver, President of the Union of Orthodox Rabbis of the U.S and the Lubavitcher Rebbe, Rabbi Menachem Mendel Schneerson, of righteous memory. Rabbi Silver traveled numerous times to Washington to intercede on their behalf, but was unsuccessful. However, after a personal telephone call from the Lubavitcher Rebbe, he agreed to travel one last time to Washington. A short while later, the Skulener Rebbe and his son— and eventual successor—were released. The bond between Chabad and Skulen did not end there. When the Skulener Rebbe and his son reached the shores of the United States in 1960, they opted to reside in the neighborhood of Crown Heights, close to the headquarters of the Chabad-Lubavitch movement. Rabbi Eliezer Zusia had numerous audiences with the Rebbe and attended farbrengens led by the Rebbe on various occasions. When, due to rising crime rates, the broader Jewish community of Crown Heights started to flee, the Lubavitcher Rebbe strongly encouraged the local Jewish population to stay. In deference to the Rebbe, and even after most of his followers had already moved away, the first Skulener Rebbe stayed put. In his last years in Crown Heights, Chabad students would ensure he had a minyan for prayer. After settling in the United States, the first Skulener Rebbe continued his work on behalf of Romanian Jewry. He struck a deal with British businessman Henry Jakober—for $2000 a head, the Romanians would grant exit visas for Jews. The Skulener Rebbe needed to raise a significant sum, fast. He asked the American Jewish Joint Distribution Committee (“The Joint”) for assistance, but they were reluctant to come onboard, fearing that the Romanians would not keep their word. The Skulener Rebbe turned to the Lubavitcher Rebbe, asking him to pull any strings he could. The Rebbe called Rabbi Binyamin Eliyahu Gorodetsky, head of Chabad in Europe and enlisted his help. Rabbi Gorodetsky was able to meet with Moses Leavitt of the Joint, eventually convincing him that they could trust the Romanians to follow through. These efforts of the Skulener Rebbe together with Chabad activists facilitated the rescue of thousands of Jews from Romania. This project was eventually taken over by the Israeli government and resulted in the rescue of hundreds of thousands of Jews from Romania. 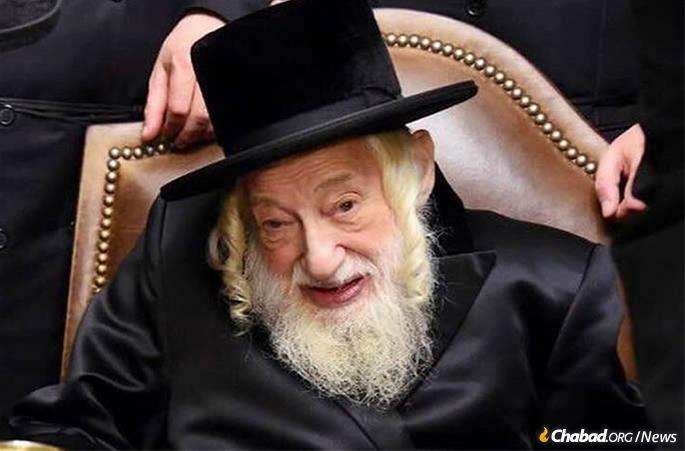 After the passing of the first Skulener Rebbe in 1982, his son Rabbi Yisroel Avrohom Portugal took over the mantle of leadership, becoming the second Skulener Rebbe. He continued in the ways of his father, running the charity Chesed L’Avraham that his father had established for disadvantaged children. After the passing of the Rebbe’s wife, Rebbetzin Chaya Mushka, the Skulener Rebbe paid a shiva call to the Rebbe. The Rebbe remarked on the special bond between Chabad and Skulen.